"Ashley is seriously the best you will find. Look no further. For our first meeting, she drove out of her way to meet us. We knew instantly that we wanted to hire her. She's sweet and personable and felt like a friend! When we set up our engagement session, she drove all the way into DC at 5am and then drove us around to different photo locations. She stayed in touch with us until our wedding day so that she knew what we wanted and created a timeline for us so that we'd know exactly what to expect on the big day." "Ashley is seriously the best you will find. Look no further. We knew instantly that we wanted to hire her." "Where do I even start with how AMAZING Ashley is? She really cared about what was important to us." "We used Ashley for our engagement photos, my bridal portraits, and our wedding with a second photographer and she exceeded all of our expectations. After each session with her she had sneak peeks to us within 24 hours (what!?). Ashley was also very easy to work with. She knows that being photographed can be uncomfortable or you can feel ridiculous in some of the poses so she just says "I know you feel stupid but trust me it looks great in pictures." She also had techniques to bring out real emotions during our photo shoots. Ashley was so helpful through our planning process and wanted to know all of the little details that were important -- DIY, heirlooms, vendor, etc. She really cared about what was important to us and struck a great balance between listening to what we wanted and offering great suggestions for a successful day and successful photos." "Working with Ashley was the BEST decision we made for our wedding!" "Working with Ashley was the BEST decision we made for our wedding! I initially chose her based on her website which stated that she would be more like a friend than a photographer, and it's completely true! While incredibly professional, my fiancé and I were so comfortable with her and made what could have been an awkward engagement shoot into so much fun! Throughout planning she was so organized and encouraging, always sending sweet reminders that she was thinking of us while we prepared for our big day. She definitely knows her stuff, and made really helpful suggestions in planning the photos to be taken the day of the wedding." I don’t believe that wedding photography is a one-size-fits-all kind of thing. I know for a fact that AKP Brides are unique and I work SO hard to find them! I serve a very specific type of bride that knows if she wants joyful, genuine portraits of herself and her new groom, then she needs more than just pretty pictures. She needs an incredible EXPERIENCE! Being an AKP Couple is so much more than your typical photography experience. The friendships and experiences that I’ve created with my AKP Couples last far beyond the wedding day, which is how I believe it should be! The first step towards working with me is determining if I am the perfect fit for you! After getting to know you, we’ll determine if we’re a perfect match and then we’ll move on to the booking process! The booking process starts off with making sure that your date is available. If it is, then I make sure your date is safe and secure, and send over a custom online booking proposal where you can review your package and pay your deposit to make everything officially official! Now that you’re an AKP Bride & Groom, it’s time to get started! After you book, we’ll schedule your engagement session. And don’t worry… I’ll teach you everything you need to know… no prior modeling experience required! You’ll feel like pros in no time! GUARANTEED! After your engagement session, you’ll be featured on the AKP Blog and will be sent your online gallery of images to download and share however you wish. Once we’re 8 weeks out from your big day, I’ll start making sure that I’m completely prepared and ready for your wedding! I create a custom timeline for my couples to ensure that you don’t miss out on your dream wedding photos! You know those dreamy portraits and detail images that look like they’re straight out of a magazine?? I work with my AKP Brides to plan their day so that they can actually have images like that of their own! The next thing you know, it’s here! It’s time to celebrate! Relax and let me and my colleagues get to work! The wedding day will be a blur to you and so I make it a priority to capture the traditional shots that every bride needs, while also capturing the moments in between in a creative way. After the wedding day, you’ll get sneak peeks and be featured on the AKP Blog! 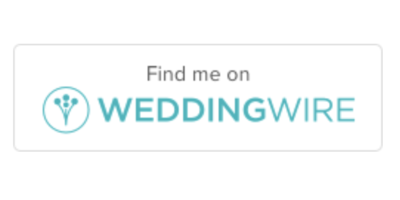 Following that will be the delivery of your wedding day gallery full of your wedding day memories! HUNDREDS of them for you to share however you choose! If you already feel like we're best friends, send me a note and I'll get you all the details ASAP!